A package of 10 pcs. costs 889 USD. 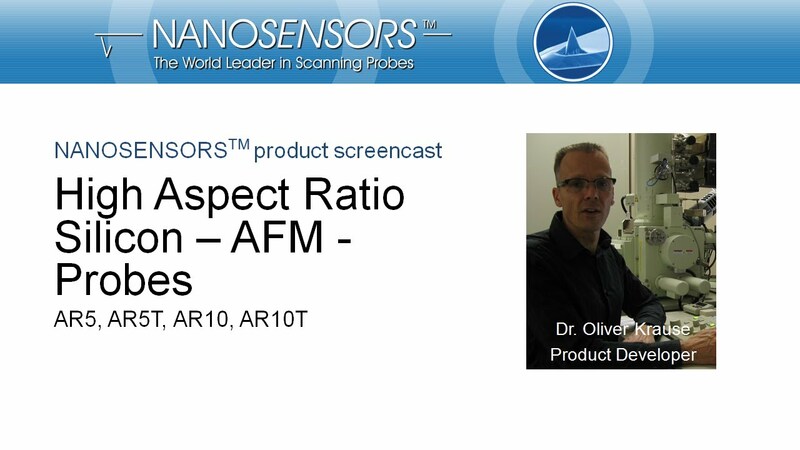 NANOSENSORS™ AR5-NCH AFM tips are designed for non-contact mode or tapping mode AFM. This probe type combines high operation stability with outstanding sensitivity and fast scanning ability. 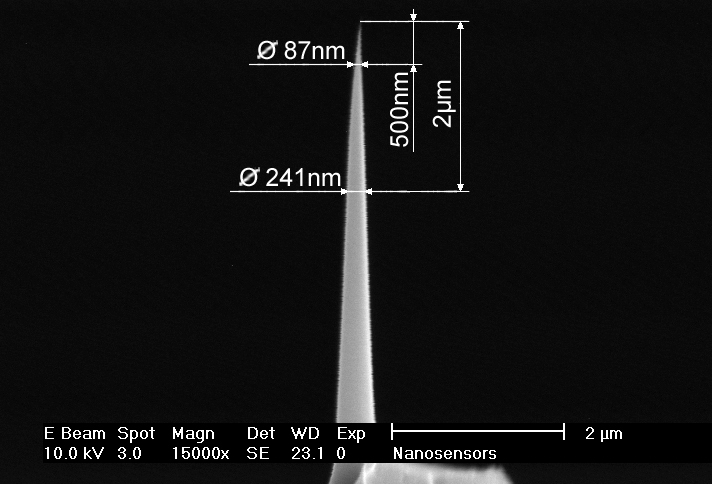 For measurements on samples with sidewall angles approaching 90° NANOSENSORS™ produces specially tailored tips. These tips are FIB (Focused Ion Beam) milled to achieve a high aspect ratio portion better than 5:1 at the end of the common silicon tip. This subtractive method of producing the high aspect ratio needle offers the advantage of high lateral stiffness and rigidity of the tip.